One of the most exciting things we get to do is put together experts to discuss how talent strategies will help healthcare organizations face their biggest challenges by creating a high performance culture. We are doing it again this week at the Jones Graduate School of Business, of Rice University. If you're from the area, please join us! • Michael Hoseus. Co-author of the award-winning book Toyota Culture, Heart and Soul of the Toyota Way, Hoseus is a nationally recognized expert on the Toyota Production System. 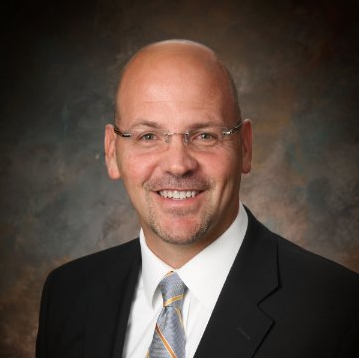 He serves as a consultant to healthcare organizations implementing Lean processes with a special focus on the talent strategies that determine success in developing a high performance culture. Mike is the Executive Director of the Center for Quality People and Organizations and President of Lean Culture Enterprises. He supports organizations in their lean journey, focusing on leadership and cultural aspects of the lean transformation. He is an adjunct professor with the University of Kentucky’s Center for Manufacturing. • Michael Rose, M.D. – An anesthesiologist, Dr. Rose is the Vice President, Surgical Services, and serves on the Board of Trustees for McLeod Health in Florence, S.C. Dr. Rose is chairman of the South Carolina Safe Surgery 2015 leadership team, which helps hospitals implement a surgical safety checklist to prevent errors and has been named as one of 50 Experts Leading the Field of Patient Safety by Becker's Hospital Review. He received the 2012 Lewis Blackman Patient Safety Champion Healthcare Executive Award for his role in improving hospitals' safety. • Ted Kinney, Ph.D. – A nationally-recognized Industrial-Organizational Psychologist, Dr. Kinney is Director of Research and Development for Select International. His focus is on selecting and developing the behavioral skills that ensure organizational success. His clients include leading organizations like the United Nations, Toyota and Verizon Wireless. He has designed talent systems for every industry and now focuses his attention on healthcare. His team works with clients like Beth Israel Deaconess Medical Center, University of Pittsburgh Medical Center and the University of Texas Southwestern to build talent systems for success at every level of the organization, including executives and physicians.